Dreaming About a Green Home? Have you been dreaming about that perfect green home that is welcoming, cozy, and provides for all of your housing needs, while also allowing you to live lightly on our earth? 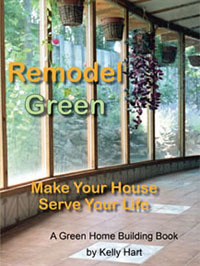 DreamGreenHomes.com can help you discover a home plan that matches your needs and aesthetics, in a way that will conserve energy and resources. Each design shown here has been chosen because it embodies some significant aspect of sustainable architecture. The designs offered for sale use natural materials, passive or active solar concepts for heating and cooling, attached solar greenhouses, naturally cooled pantries, or other aspects that contribute to a greener lifestyle. All of the architects and designers represented here are committed to providing house plans that will help you bring your dream into reality! There are many ways to find the plans that most closely match your interests. Within each of these categories there may be other subcategories to help you narrow your search. To find out more about the architects and designers featured here, please see their Profiles. All of the plans that each particular architect or designer has available here are listed along with their profile. Once you have found a plan that interests you, it can be purchased through the links at the bottom of each specific plan. If you find a plan that seems nearly right, but needs some tweaking to make it perfect, some of the architects and designers featured here are quite willing to customize their plans to suit your needs. Once you purchase the generic set of plans presented here, you can communicate directly with the person who designed them for fine tuning. The cost of such subsequent modification varies according to the fee schedule of the particular designer, and is a matter of negotiation between you and him or her. DreamGreenHomes.com is not involved in after-sale modifications. Each of the various architects or designers afilliated with DreamGreenHomes.com offers a different level of detail on the sets of plans for sale. Most of the plans should be adequate to submit to building departments, but of course these requirements are different for each locality, so we can't guarantee that everything will be acceptable. For instance, in some cases, local authorities require the stamp of a local architect or engineer, so this might be something that you would have to follow through on. Some of the plans have plumbing and electrical diagrams, and some don't. All of the plans show enough detail to build from. See our Warranty and Disclaimer for more information. For a thorough discussion of all aspects of sustainable architecture and natrual building and why it is important to consider these options, please go to www.greenhomebuilding.com. 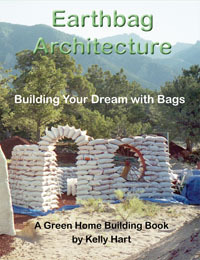 For specific information about earthbag building see www.earthbagbuilding.com. 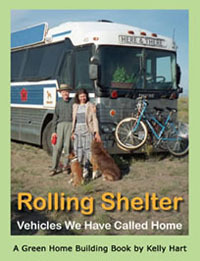 Read our blog at www.naturalbuildingblog.com.